I love Christmas in Ireland and have been fortunate enough to spend quite a few Christmases there. 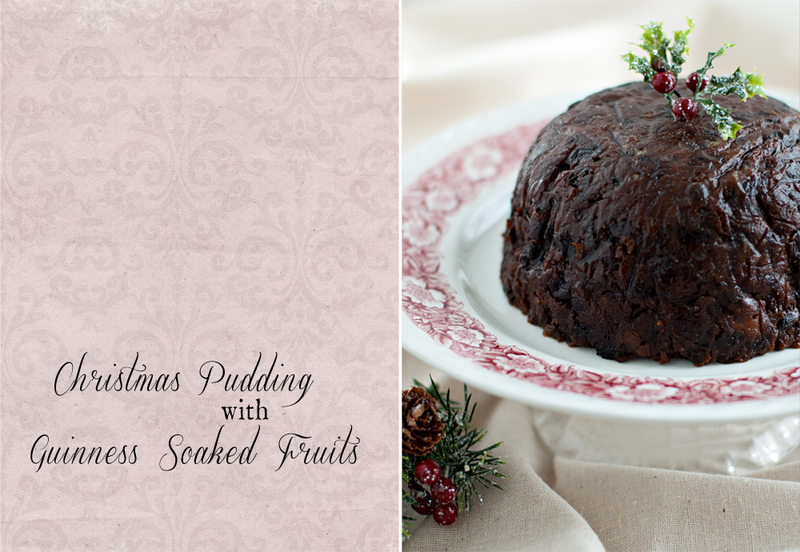 But I have to admit, there's always been one thing I was not so fond of: Christmas pudding. If you take a wander through the recipes on this site you'll notice a marked lack of any that include raisins - a primary ingredient found in Christmas pudding. You see, I'm also not so fond of raisins. 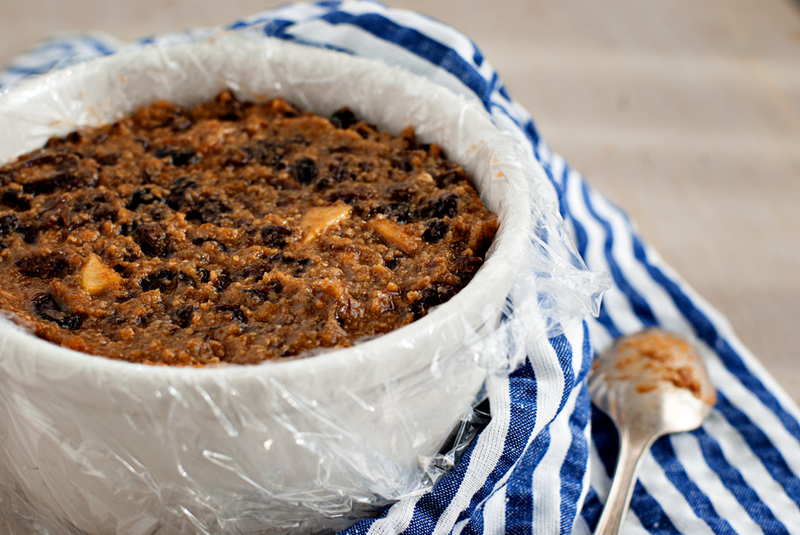 But I do appreciate a cooking challenge and over the past month or so, I'd decided that Christmas pudding - filled with raisins - was going to be my next endeavor. Making Christmas pudding is a labor of love, so I did quite a bit of research before taking the leap. There's no shortage of tempting recipes by the culinary giants Nigella Lawson, Delia Smith, Jamie Oliver & Nigel Slater, but Tamasin-Day Lewis' recipe piqued my interest the most as it called for a generous amount of Guinness. Ultimately, I chose a BBC Good Food recipe - it was well tested (lots of positive feedback from readers) and the scale of the recipe was more to my liking. Perhaps the most critical ingredient in making Christmas pudding is time. 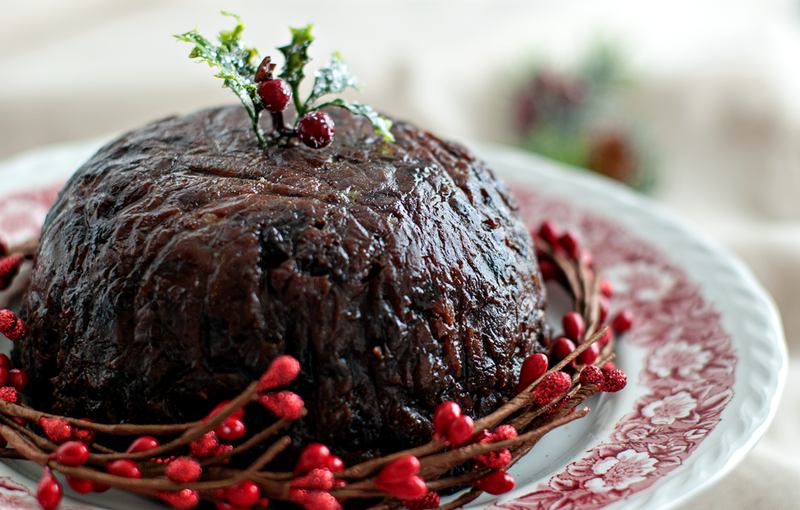 Traditionally, the pudding is boiled for many hours, then left to mature for several weeks and boiled again on Christmas Day. 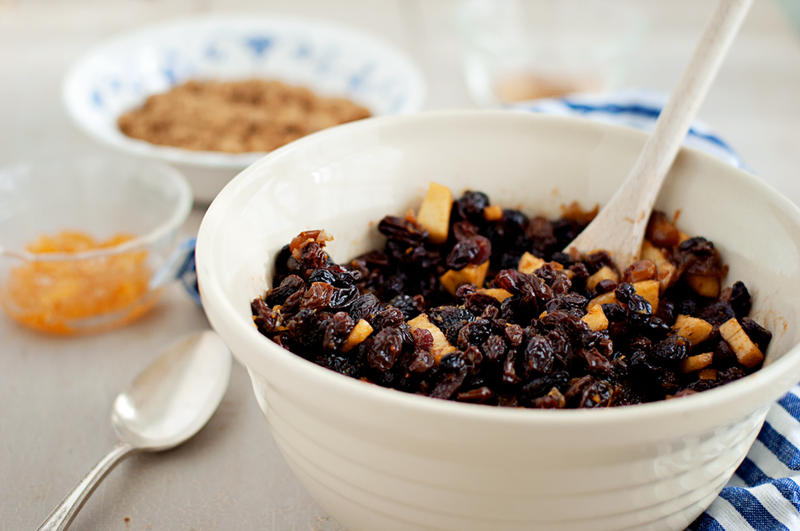 For this recipe, the raisins, sultanas, currants, dates, and spices soak in Guinness overnight. Rather than boiling my pudding on the stove, I followed in the footsteps of many other wise cooks and brought out the slow cooker to do the task. I didn't have a traditional pudding basin, either, but a small ceramic bowl did the trick. The recipe made enough for one medium pudding and a small one which I steamed separately. Cook's treat! I steamed the pudding on high for about eight hours and was really pleased with how it smelled and looked coming out the the bowl. I couldn't help but taste the smaller pud - it was fruity and spicy with layers of complex flavor - but not boozy. And that's before it's even had time to mature. My next task is to figure out how to squirrel the pudding away in my suitcase to take to Ireland for Christmas. I figure I've spent a lot of time making it, so it needs to come with me! You can find the BBC recipe I followed here. If you're visiting my blog from the United States, Happy Thanksgiving and thank you for indulging me a bit in a little Christmas preparation. Thanks so much, Jules! I actually tweaked the BBC recipe, too, by adding some black treacle & orange marmalade. I think that's the fun of making a Christmas pudding - the basic recipe is pretty open to interpretation and redesign to suit one's own tastes. I'm glad you stopped by! link . Have a good week.